It was recently reported that Google was looking to purchase Shapchat for around $30 billion. Should this deal go through (although there is no certainty of it), it could lead to some big things for Google. It would also mean combining Snapchat with Google’s mega hit video platform YouTube. And, a merger like this means gunning for the largest advertising prize – the $72 billion TV industry. YouTube is a viable advertising alternative to TV. However, snatching up Snapchat means an additional 166 million users it can reach out to – and it also means younger viewers for them to cater to. Of course, TV can still lead to large audiences that advertisers can reach out to such as Monday Night Football, TV show premieres, etc. Snapchat has users that stay on its site for 30 minutes; YouTube users tend to stay on for 60 minutes using the mobile app. Facebook does what it can to convince its users to spend at least three minutes watching videos in their Newsfeed. If YouTube, with its 1.5 billion users, and Snapchat were to combine, it would make it almost impossible to reach. 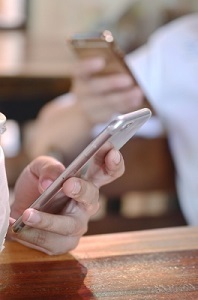 It would give advertisers a direct connection to younger viewers who spend a lot of time on their mobile phones and tablets. It’s not that difficult to picture a customized Google ad buy that brings brands to young adults, ensuring it’s a rival to TV advertising marketers. Advertisers tend to use Instagram to spread the word about their brands and products/services. And, everything about it ties back to Facebook. Brands can easy purchase brands that will show up on both platforms and allow them to keep track of how the ads do. Should Google purchase Snapchat and combine with YouTube, it could help strengthen its ties to advertisers and deepen their relationship. And, the payoff could be phenomenal. Google could also use this website to change the course of web video ads, going with six-second ads that cannot be skipped. Though some of the Snapchat users may complain about it, it would certainly help marketers create ads that gain attain. Most people do not use Facebook to sit back and watch videos on its platform, and the move Google makes could change how Facebook trains users to use the site. The great thing about YouTube and Snapchat is that there is no training involved. With YouTube and Snapchat pushing out more original shows, they could use each other’s platforms to do some cross promotion. If Google were to buy Snapchat, it would certainly give the company more clout to compete with Facebook. However, it’s important to understand that should the deal go through, it doesn’t mean the host of TV ad budgets that could come through will address its $30 billion investment immediately. It’s still a deal to keep an ever-watchful eye on. Posted by admin on Aug 6 2017. Filed under Business, Featured, New, Sci/Tech. You can follow any responses to this entry through the RSS 2.0. Both comments and pings are currently closed.